Here at Guelph Nissan we strongly believe in the Nissan Brand. That’s why we are taking this opportunity to share with you some insight into what makes Nissan such a great manufacturer. Scroll down to read our Top 5 Reasons Why You Should Choose Nissan! #1: Models: Nissan creates a vehicle to suite every driver. If you’re in the market for a sedan, why not try the sporty Sentra, the beautifully redesigned Altima, or the luxurious Maxima. Nissan also offers a great line up of crossovers and SUV’s, including the Kicks, Qashqai, Rogue, Pathfinder, Murano, and Armada. If a Truck is more to your taste, Nissan has you covered there as well with the mid-sized Frontier and the full-sized Titan. #2: Safety: Nissan Intelligent Mobility offers state-of-the-art safety technologies. These available advanced safety features were designed to keep an eye on surroundings, providing greater control, confidence, and comfort, to the driver. Key components under Nissan Intelligent Mobility include: Intelligent Auto Headlights, an Intelligent Around View Monitor with Moving Object Detection, Intelligent Cruise Control, Intelligent Forward Collision Warning, Traffic Sign Recognition, Intelligent Trace and Ride Control, and Steer Assist. Another key component of Nissan Intelligent Mobility is ProPILOT Assist. In addition, Nissan has just introduced Nissan Safety Shield 360, comprising a Suite of 6 Driver Assist Technologies, including: Intelligent Emergency Braking with Pedestrian Detection, Blind Spot Warning, Rear Cross Traffic Alert, Lane Departure Warning with Intelligent Lane Intervention, High Beam Assist Headlights, and Rear Intelligent Emergency Braking, all of which will come standard on Nissan’s top-selling models by 2021. 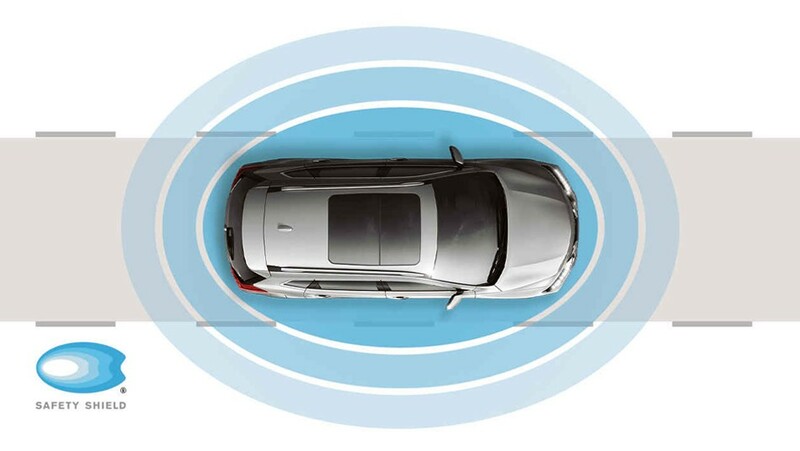 With front, side, and rear sensing technologies, Nissan Safety Shield 360 has just been introduced as standard equipment on SV and SL grades of the 2019 Rogue, 2019 Qashqai, and the all-new 2019 Altima. ProPILOT Assist, will also be available on the all-new 2019 Altima and 2019 Qashqai. Safety Shield 360 is the latest development under Nissan Intelligent Mobility, Nissan’s vision for changing how cars are driven. 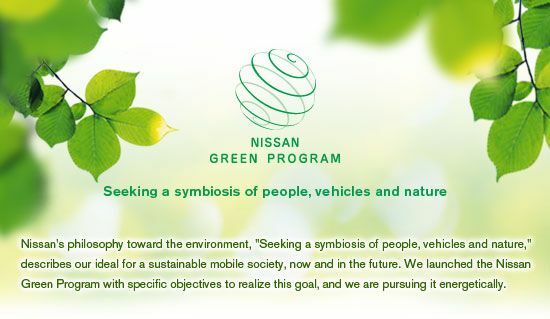 #3: Environment: In accordance with its environmental philosophy “a Symbiosis of People, Vehicles and Nature,” Nissan has promoted a series of environmental action plans under the name “Nissan Green Program (NGP).” Under these action plans, Nissan continues taking steps toward its ultimate goal of reducing environmental dependence and impact to levels that nature can absorb. The action plans target a set of four key initiatives under the program: Zero-Emission Vehicle Penetration, Fuel-Efficient Vehicle Expansion, Corporate Carbon Footprint Minimization, and Natural Resource Use Minimization. 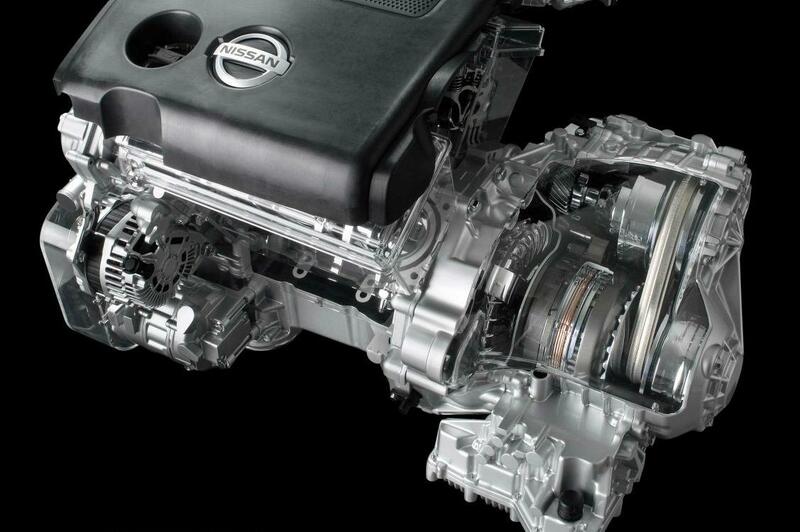 #4: Continuously Variable Transmission (CVT): Nissan is a forerunner in Continuously Variable Transmission technology and its latest models are now equipped with its third-generation XTRONIC Continuously Variable Transmission, with D-Step Logic Control. A Continuously Variable Transmission (CVT) provides simple, efficient power delivery creating better fuel economy than traditional transmissions. #5: Technology: The available NissanConnect, featuring Apple CarPlay and Android Auto, offers you a state-of-the-art system, helping minimize distractions when driving, by connecting with your smartphone. NissanConnect is controlled through a dash-mounted, centrally located screen, and comes available with Navigation, Hands-Free Calling, Texting, and a Collection of Popular Apps. 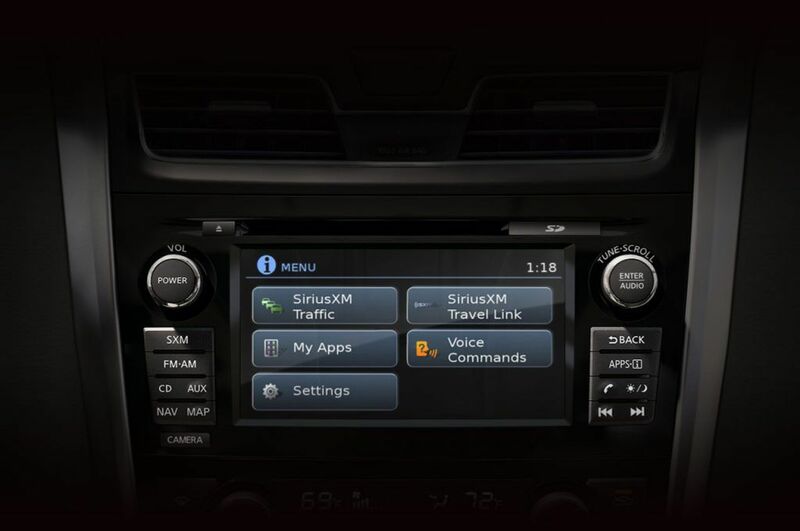 In addition, you can also choose NissanConnect Services, powered by SiriusXM, which offers a full suite of digital alerts and remote access features, and comes available across three packages that you can choose from. NissanConnect Services can also offer you a number of safety features including: Automatic Collision Notification, Emergency Calling, Roadside Assistance Services, Stolen Vehicle Locator, In Vehicle Messaging and Alarm Notification. If you are interested in getting to know more about available Nissan vehicles, or would like to take a Nissan out for a test drive, please contact us at Guelph Nissan today!